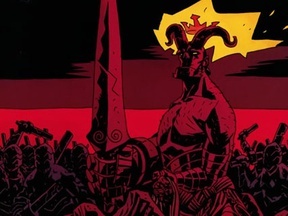 Will Hellboy command an army of dead? 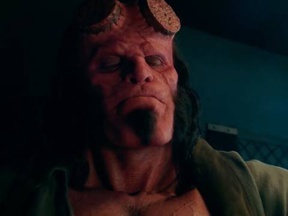 The gauntlet in Hellboy's hand has the power to command the army of the dead, however he refutes in doing so. If in the movie he uses this power, this question will be a "YES"